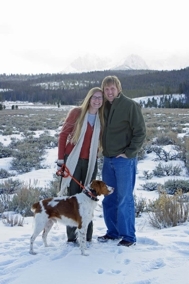 Boise Real Estate Source: What about John & Kasey Boles - Jon Gosche Real Estate? Here's what. What about John & Kasey Boles - Jon Gosche Real Estate? Here's what. Loves the outdoors, her husband (and partner in Real Estate), John, her Brittany dog, Roy and her daughters, Annie & Claire. 1)Is this your full time job? Yes, this is my full time job and I do everything I can to keep myself up to date on local news & issues, community discussions and the market here. I also spend time reading and researching the national market in real estate and finance and I take continuing education classes and designation courses whenever I can to keep up to speed on my industry. 2)Why should I work with you? This question is going to overlap with my response to the next question, but besides what I mention in the next question there are a couple of things that are key in my business. Though real estate agents are considered "sales people," I don't consider myself to be in sales. As a Buyers' agent my job is not to "make the sale" it is to work in the best interest of the party that I am representing (you! ), find you the home that best fits your needs, is the best deal for your all around situation and to help as a consultant through the entire process from start to finish. My goal as a real estate agent isn't to sell a buyer a house, it is to help you find and buy whatever is the best home for your needs as well as to be there with the knowledge and expertise of the area, anything to look out for in a transaction and to problem solve and be available in the event issues arise throughout the closing process. Real estate is my full time career and I continually read, research and take classes to better my knowledge of the industry and to keep myself up to date on all the new and changing things within the industry as a whole; the real estate and financing industries are in constant change. I also do my best to carefully listen to the needs of my clients, am very detail oriented, as well as make communication a key priority, which brings me to the next question..
3)What do you do better than other real estate agents (ie, why should I pick you over everyon else)? Real Estate is a "people person" career. But, what some people don't realize is that besides the people person part of it, behind the scenes there are A LOT of details that need to be attended to - from paperwork and making sure that everything is properly filled out and in the file (we are not lawyers, but there are many items within a real estate contract that could make or break a transaction when issues arise), to keeping track of time deadlines (of which there are many between the loan process, the inspection period and closing date), to keeping in regular contact with all parties involved in the transaction (buyers, sellers, listing agent, agents' assistant/transaction coordinator, loan officer, loan processor, escrow officer, escrow assistant, title officer, home inspector, appraiser, etc.) and more. These are sometimes things that driven "people people" aren't as good at. Some of the most successful real estate agents are terrible at the 'detail' part of it but are hugely successful because of their people skills. Some of them know it and some of them don't. Those who know it generally hire an assistant who can keep them and all the details in line, and I think this is great that they know their strengths and weaknesses and can work their business based that way. However, others don't and don't realize the detriment it could cause within a transaction. I was in a real estate education class and we did a little study - we took a personality test and then assembled into the groups of people that matched our personality. What we found was that the majority of people who are real estate agents are a highly driven and influential "people person" type personality, but had very little in terms of organization and detail, which were components of the other personality types. This was reflective of what more extensive studies had done over larger groups of people in the same business. It makes sense because there is a high need for both being driven and enjoying working with people to be in this business. But, there is also a huge part of the business that also needs to tend to the details as well. My personality showed me to be high in the detail and accuracy department. Because of this I have chosen to not have an assistant and to work with my clients and complete transactions from start to finish. While some agents would say they are able to better service their clients (and also sell more homes) by passing off the "transaction coordinating" to another person once the contract has been accepted, I find that there are so many issues that could potentially come up between contract acceptance to close that I want to be the one in the middle of it, foreseeing any issues before they occur and nipping them in the bud before they become a problem. I also believe that my clients who have hired me to be their real estate agent don't deserve the disservice of having to be in touch with an assistant instead of me once we've gotten past the choosing homes portion of the process. And honestly, I like this part. My involvement in the transaction in it's entirety and my meticulousness (which also leads me to want/need constant communication between all parties) allows me to have a very high success in closing difficult transactions and problem solving in the event any issues do arise between contract acceptance and closing, where it is possible in other cases the deal may have just fallen through. While that is my decision, if another agent has an assistant to do this work this really may be the best situation for them and how they work. So, as a buyer you will need to assess the situation and decide what is most important to you and what your expections for your agent are. 4)What process will you use to help me find the right home for my particular wants and needs? I set all of my clients up on an automatic property search. As I get to know my clients wants/needs better I will adjust that search or add additional searches. I may send additional lists of homes that I want you to look at that I have sifted through myself and think that you may like or may have missed, but I want you to be the one choosing your home. I set these searches up so that you are able to see everything that is available within your criteria and allows you the option to choose which ones you would like to view. I have no limit on the amount of homes I will show you and believe that even seeing homes that you don't like is important in the process of really solidifying what you do like. We also have a fantastic company website, BoiseMeridianRealEstate.com which I think it is a very useful tool for buyers, sellers and agents to work together in the buying and selling process. I'm really excited about it and all that it has to offer. 5)What are the most common things that go wrong in a transaction and how would you handle them? There are an infinite number of things that potentially could go wrong in a transaction. However, the most common include results of an inspection report and the subsequent negotiations between buyer and seller for repairs, appraisals coming in low or financing not coming through. After contract acceptance the inspection is the next major step. It might come back with no major issues, or there may be more issues than we had anticipated. This is the time where negotiations might be renewed between buyer and seller. It is my job to go through this with you. I am not a home inspector, and the inspectors are available to answer any questions, but I am here to help you talk about the inspection items and help you navigate the process of what, if anything to ask the seller for, or if it is time to throw in the towel on this property and move to the next house. Appraisals are the next biggie. In today's market the appraisers are ultra conservative with their appraisal reports and often only come in at or barely above contract value even if a house may be worth more than that. However, they are also commonly coming in lower too. Now, I would never want my buyer clients to pay too much for a home, but if there is legitimate reason to question the results of the appraisal I will complete a independent comparative market analysis with additional comps to submit to the lender and appraiser for review and also work to see if we could get a second appraisal opinion. This is getting tougher to do because of new laws and regulations in both the lending and appraisal sectors. However, if an appraisal does come in low, this is an additional time to work out the situation with buyer and seller and negotiate terms of the contract once again. As far as financing not coming through (at the last minute and for whatever reason) there are a number of ways to avoid this in the first place and that leads me to the next question. 6)What are some mistakes that you think people make when buying their first home? I think that three of the biggest mistakes people make when buying their first home include choosing the wrong lender, biting off more than they can chew, (sometimes those two go hand in hand) and spending money or buying on credit prior to closing on the home. Getting financing for a new home is a big deal. And, it's not something people do every day so there is a lot to it that may not be easy to understand or that people don't even think about. First, it is in my opinion, VERY important to work with a local lender. Not only are there certain out of state lenders that aren't even licensed to loan in Idaho, but they don't know what is customary in our area (ie. taxes, what closing costs are paid by whom, common time frames, required (or not required) inspections etc. etc. ), they won't be familiar with local loan programs that are available to home buyers here, and you can't walk into their office face to face to talk to them in the event things are going awry. I can tell stories about problematic closings with out of state lenders and give more examples of the cons of using them and pros of using local lenders. Second, biting off more than they can chew; I am mostly referring to buying more house than they can afford or maybe should be buying for their situation. Just because you are "approved" for a certain amount doesn't necessarily mean that it is what you are or should be comfortable with. Also first time buyers sometimes don't take into consideration things such as utility bills, cost of home improvement and general home maintenance, cost for commuting (gas, car wear and tear, etc.) and other things that may be additional costs that you might not have renting versus buying, or just simply may not have thought of within the new budget that comes with owning a home. I'm not a financial planner, but do want to make sure that all things considered, buyers are comfortable with the situation that they are getting themselves into being a homeowner for the first time. Finally, spending money or buying on credit prior to closing - it is very common when buyer's contract on their first home to get excited, go shopping for furniture, appliances & large household items. The problem with that is that your approval is based upon the snapshot of your credit and finances when you took application for the loan. What people don't realize is that the lender verifies that information prior to closing. If your debt to income ratio has changed because you've put that new washer/dryer & refrigerator on your credit card, you may no longer qualify for the loan that you were approved for. Or, if you were approved in part for the amount of money you have in your savings account (some loans require there to be a certain amount of money to show that you can make your payments for so many months) and that cushion is gone, so might your approval be. It seems innocent enough (though I've heard of people even doing things like buying new cars in the midst of home buying) but any change in your finances between loan application to your loan funding and the home recording into your name could cause last minute problems with financing and a buyer ending up being unable to purchase the home at all. 7)What other professionals do you suggest we work with and what are their credentials? If you are interested I will provide you a sheet with lender & inspector recommendations. Each loan officer on the list brings something different, whether it's personality, location, being a mortgage banker vs a mortgage broker, having in-house underwriting, working best with first time buyers, repeat buyers or investors, the ability to do certain loans that others can't, and more. The inspectors on the list have each done a number of inspections for clients of mine with satisfying results. Not all inspectors are ASHI certified, and not all buyers care about that, so this list includes an inspector that is ASHI certified and one who is not, but who adhere to ASHI standards. I don't have Title Companies on this list but am happy to discuss different Title Company options with you as well, as there are definitely different companies and escrow officers that may be best for each individual contract and situation. Any additional professionals that you may want a recommendation of including builders, CPA's, attorneys, general and sub contractors, handymen or anything else, I am happy to discuss with you on an individual basis and based on your particular needs help to point you in the right direction. 8)Can you provide me with references or testimonials from past clients? At the bottom of this page are a number of testimonials from our happy clients. I am also more than willing to give a list of as many past clients as you'd like that you are able to call and ask questions and talk about their experience with me as their agent. I am a Realtor®, a member of the NAR (National Association of Realtors®) as well as IAR (Idaho Association of Realtors®) and ACAR (Ada County Association of Realtors®). I have been on the ACAR Bylaws Committee for the past 4 years, was the Vice Chair of the committee for 2012 & 2013 and will be the Chair for 2014. I have been on the ACAR Grievance Committee for the past 4 years and was the Chair for 2012. I am also on the Rules and Regulations/Bylaws committee for the Intermountain MLS and have been for the past 5 years. Though the MLS isn't directly affiliated with the National Association of Realtors, in our market all agents that are part of the local MLS are members of NAR, IAR as well as a local Association, and Intermountain MLS works closing with all local Associations and NAR when making decisions for our local area Realtors®. 10)What certifications do you hold? 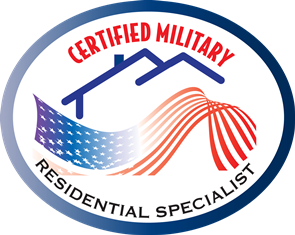 I am a Realtor®, a Real Estate Broker, a GRI (Graduate Realtor Institute), e-Pro (focusing on internet and technology in the Real Estate industry), ABR (Accredited Buyer Representative) & SRS (Seller Representative Specialist), SFR (Short Sale & Foreclosure Resource) and a CRS (Certified Residential Specialist). I also am always continuing my education with other classes as well. I specialize in Residential real estate and work with both Buyers and Sellers. My primary market area is the Treasure Valley as a whole - I work in all areas of Boise, Nampa, Kuna, Meridian, Star, Eagle, Middleton, Caldwell as well as Melba, Emmett, Horseshoe Bend & East Boise County. As far as representing buyers I don't really go much further out of those areas and will refer a buyer to a local Realtor if someone is looking to buy or sell property outside of my market area. Over the course of about the last 6+ years we have been working extensively with pre-foreclosure, short sale properties and do list and sell these as a primary part of our business now as well along with continuing to work with Buyers - knowing the ins and outs of the selling/listing side of short sales also helps me to be more knowledgeable with buyers to help them navigate and have proper expectations on the purchasing side of it too. Though I refer buyer clients out to local Realtors in Valley County if my buyers are looking in areas around McCall/Donnelly/Cascade, we do work together with local Realtors in that area to listing and negotiate short sales. 12)Who is your Broker? Can I call him/her? My Broker is Jon Gosche, who is the owner of Jon Gosche Real Estate and is also my father. You are welcome to call him at 208-870-2115 or email him at gosche@cableone.net. One of the greatest things about small family brokerages is that we are able to talk issues through and I always have access to my broker. 13)How many sales did you complete last year? John and I have both received the Circle of Excellence award for the Ada County Association of Realtors for the years 2005-2012 consecutively. We closed 56 homes in 2011 & 59 in 2012. John and I work well together to help each other when need be. We do not have assistants and so our numbers may not reflect that of the busiest agents in our market area, but we do that by choice as we feel that it is important to have the same person (us, your agent) involved throughout the entire transaction, have all knowledge of what is going on, remain the contact person for all parties during the transaction and not pass it off to an assistant to finish once the offer is written. There is so much that happens between offer acceptance and closing that needs to be attended to in order to assure a smooth close and we don't want to do what we feel is a disservice to our clients of passing that off to a transaction coordinator. 14)Why did you become a real estate agent and how long have you been in the business? I was born and raised in Idaho, but over the course of college and marriage had lived in other areas for about 7 years. My husband, John and I were living in Tacoma - he was teaching and I was a waitress. The whole situation for a number of reasons wasn't working for us and so we looked into other options. My father had previously been a Chiropractor but had sold his business a few years prior and gotten his Real Estate license. He first got his license to do his own investing and then (somewhat unintentionally) his business took off. After two years (the minimum time required in the business) he got his Real Estate Broker's license and started his own company, Jon Gosche Real Estate. A few years later he was still working, his business was strong and he even had a couple of other agents in his company. The opportunity to come to Boise, get our real estate licenses and work with him came up and we decided to take it. Once we got our license and began working in the family business we realized that it was a good fit for us and that we were good at it! We have now been selling real estate since 2004 and have both been "top producers" and awarded the "circle of excellence" for production volume in every year that we've been in the industry. I don't think I ever thanked you for doing such a great job with the Short Sale of my property. The entire process was smooth, painless and most of all transparent. I wish to tell all potential clients that I would most certainly do business again with you if the opportunity presented itself. It's been a long time but I was thinking about you guys today so I wanted to send an email to say hello and I hope all is well. I know God has been good to you guys for helping me get out of my pickle. I will never forget you guys. I never got a chance to say “Thank You” for all of the work you did for us. We were really pleased with the service you provide as a realtor. It could not have been a better experience especially given the situation and being out of state. Thanks again for all the hardwork and professionalism with our home. We were very happy. I can't tell you how much I have enjoyed working with you and I have no doubt we couldn't have finished this without you. Thank you so much for all of your hard work, it means more to me than you will ever know. If only I had found you a year ago! I have already given your name out to a few people and I will send who ever I can your direction. We hope to buy a home in a couple of years when my credit turns around, we will definitely think of you when we do. Keep us updated if any of your contact information changes. John you are awesome - you did such an excellent job -thanks for all your help - We don't know how to express our gratitude for all your help and guidance. Thanks for all the hard work that you put into getting this deal done. I will definitely recommend you to anyone that I know who might be listing a home in the Idaho area. Thank you so much for all of your work on the house! I'm so glad it all worked out. Hope you and your family are doing well. I have been meaning to email you for a few months but you know how life gets busy:). I'm not sure we told you that we really appreciated all the work you put into selling our house. Thank you so much! It's nice to be done with it all. Hope you guys are doing well. Thanks!